Joe Jenders and Steve Marek kicked things off by introducing the Vrakas/Blum team. 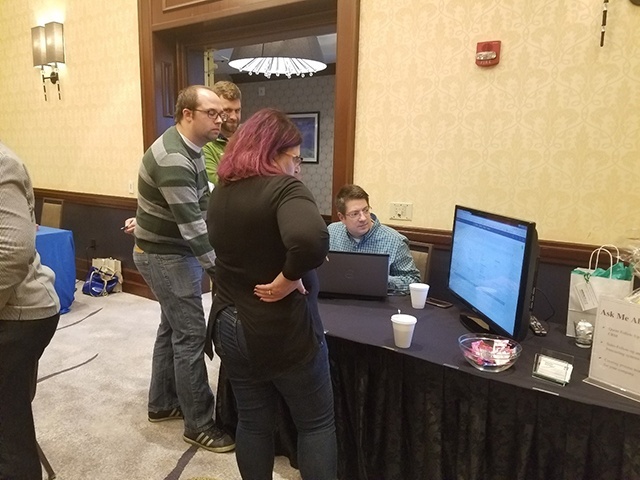 The next day, as the customers arrived, the day kicked off with a “road ahead” session presented by Sage, who had three representatives on hand showing their support for Vrakas/Blum and their customers. There were several sessions on tools and technologies available to enhance Sage. 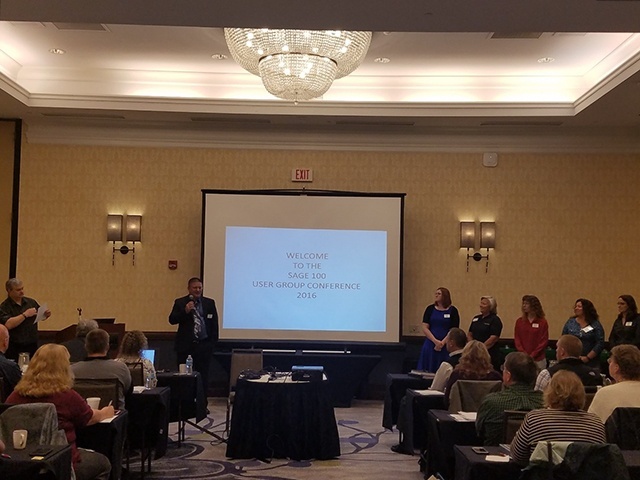 Our friends at Scanco presented on “Increased Speed and Accuracy Through Data Collection”, and the award for Best Session Title went to, “If You Can’t Clone Yourself, Sage Alerts is the Next Best Thing”. 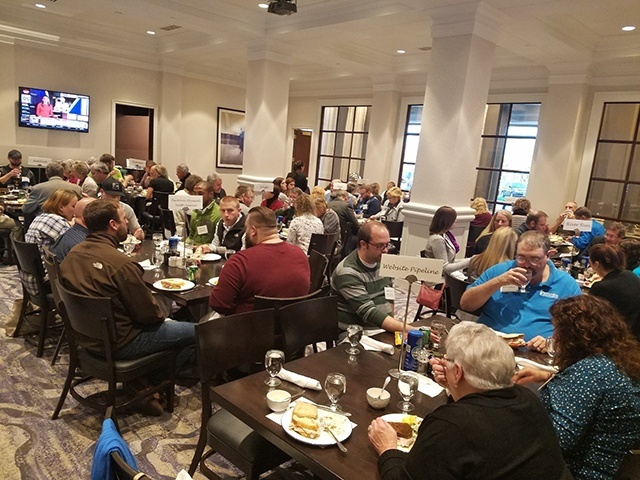 At lunch, the room buzzed with people sharing ideas about all the things they want to implement in their Sage systems based on what they were learning. Several Vrakas/Blum consultants were on hand to answer questions and help the customers plan and prioritize. 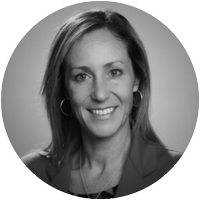 I talked with many attendees who have been using Sage 100 / MAS for 10+ years, sometimes even bringing the Sage and the Vrakas/Blum team with them as they changed companies. I learned that Vrakas Blum has some very loyal customers! I’m always interested to hear about the businesses of the companies we work with. There were several companies that are doing some pretty amazing things in the world of medicine, charity, and the environment. It was great to hear about these companies that are doing good out there - with the help of Sage and partners like Vrakas/Blum. This was the first year they tried a vendor trade show area, and by all accounts it was a huge success. 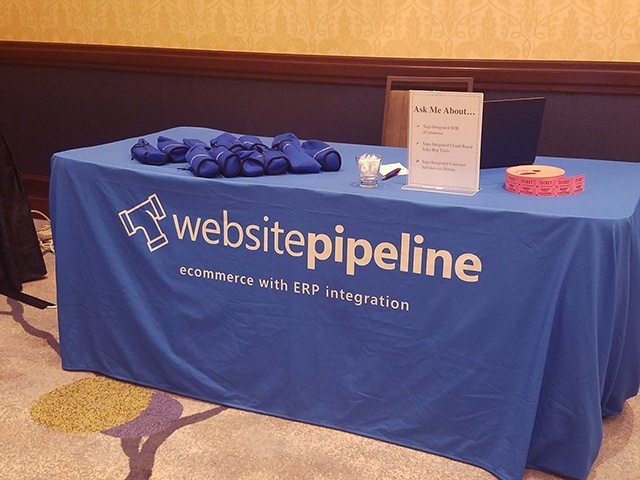 Attendees were genuinely interested in learning about our products and how we can help them extend the power of their existing Sage 100 ERP with our cloud-based B2B customer self-service portals. Each of the vendors had raffle tickets to hand out to attendees who came by their table and asked a question. Sometimes people are hesitant to talk to vendors in these situations, but it’s funny how the prospect of winning a Go-Pro or a wine basket really opens them up. Our infamous hoodie coozies were in high demand! 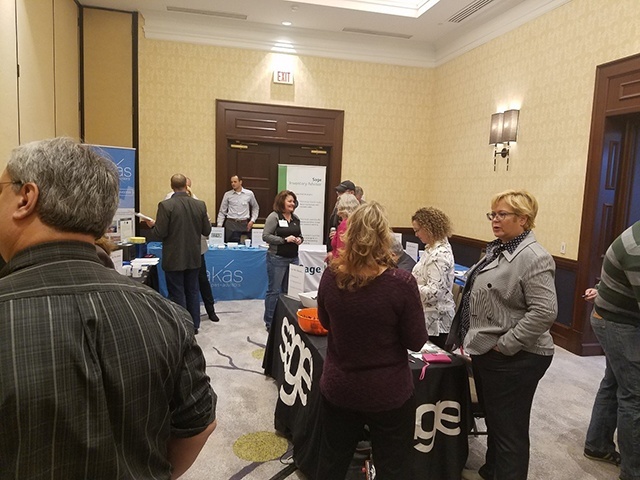 The raffle was a nice touch, and even those who didn’t win a prize still walked away with a binder full of information on what they learned, a goodie bag, and of course lots of new knowledge on how to get the most out of their Sage 100 system. 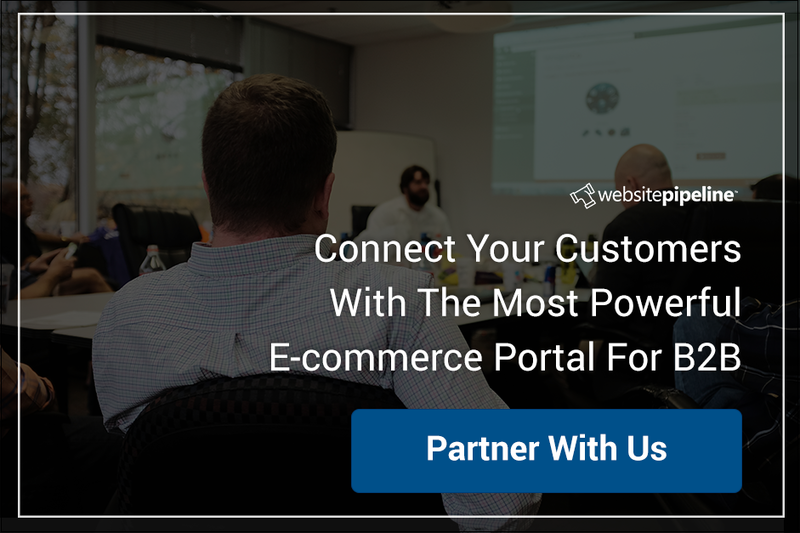 Not all the partners we work with host live customer events like this. Many find it too difficult to get people to come out. But Vrakas/Blum had record attendance for their event this year. Their customers keep coming back year after year, and I can see why!